I’m delighted to have signed a new, two-book publishing deal with Bloomsbury. My first title, Impossible Causes, will be published in October 2019 as a lead title for Raven Books, edited by the brillant Alison Hennessey. 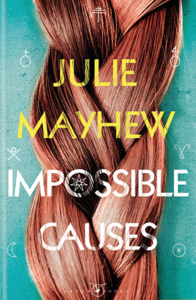 A dark, coming-of-age thriller, Impossible Causes follows the fate of three teenage girls on the remote British isle of Lark. When a body is found at the ancient standing stones, the girls find themselves accused of witchcraft and murder.